Not the most, but a lot of cyclists are riding their bikes with lights on even during day – that’s great, you see cyclist much better as driver and also as pedestrian. I must also repeat that cyclists are here nice and respectful to the others and also to traffic code. I think, it should be mandatory everywhere. Motorbikes must have light on very long time in whole Europe, car in quite lot of states in Europe too. Cyclists, the most vulnerable road users, don’t have to have lights on. I took the train here only two times, well four times, because I was going there and back. Trains in Switzerland are riding on the left side. 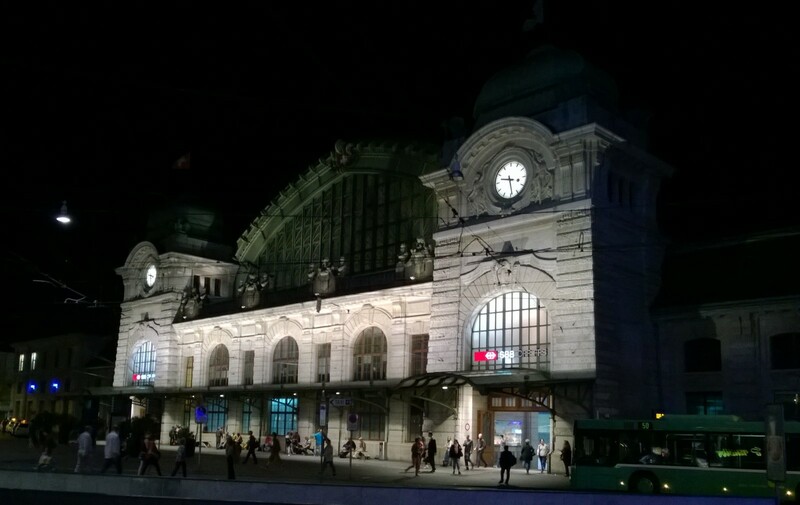 The first trip was show, from Basel SBB to Lörrach in Germany to Elton John concert. It was simple local train, but clean, safe in the night and quiet. By the way, even abroad train ticket was included in ticket price. 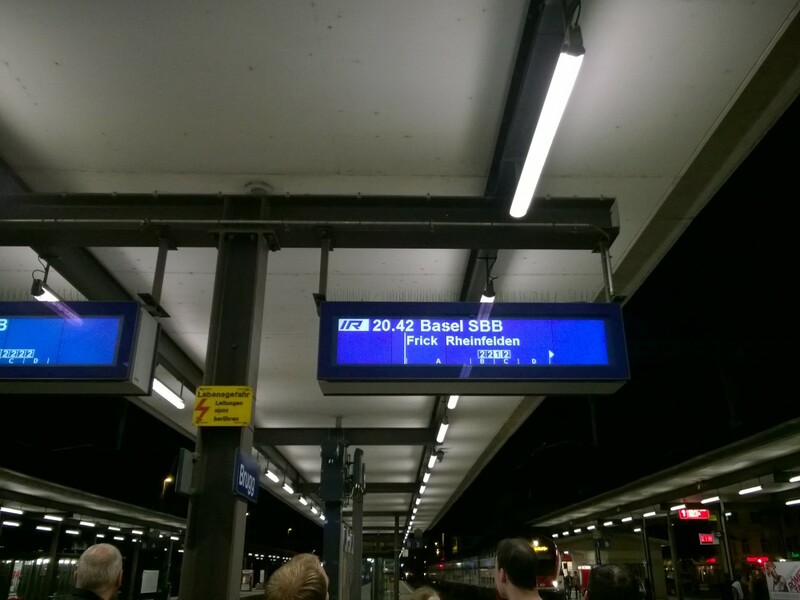 Second trip was Summer Trip with my company from Basel SBB to Brugg. On the way there, we had private wagon just for us. It was standard wagon, nothing special, but comparing to Czech trains very nice. On the way back, we didn’t have a reservation, so we just picked “random” double-deck wagon and sat on the top floor. For me, it was 7 years from my last trip with double-deck wagons in Finland in 2007. Like in Finland, also in Switzerland are double-deck wagon very common. Both trains were clean, safe, comfortable and very quiet. 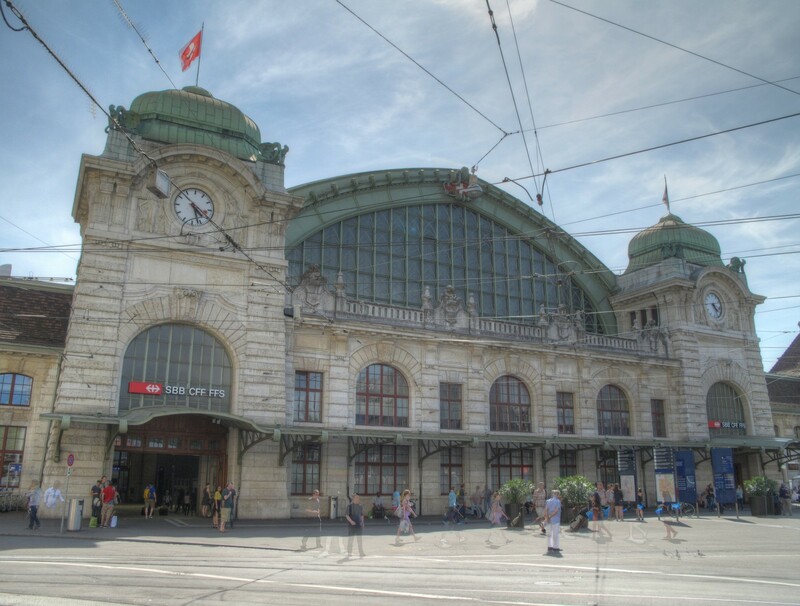 I wrote about prices of trains in Switzerland in my previous post – very expensive, but Swiss people are travelling a lot of by train. Railway density is the highest or one of the highest in the world. Travelling by train is comparable to Japan. Swiss are on the top of average km per person per year and Japan on the top tom number of average rides per person per year, see article about Swiss train travel record. I asked locals, why they’re taking the train even if is much more expensive than a car. They buy Halbtax-Abo card and have 50 % discount on every train. It costs 175 CHF for 1 year, it’s possible to buy even longer subscription and it’s cheaper. You have also discount in German and Austria trains with this card and discount for hiring a car in many countries all around the world. One of my friend has also unlimited train ticket for 1 year for whole Switzerland. We noticed that there is also discount at some attractions, if you show valid train ticket. Trains are also supported by Swiss government. If is here some huge event for many people, it’s usual to dispatch special trains from different parts of Switzerland to allow people to get there and back, there are also combined tickets for train and entrance together (including bus shuttle, if necessary). Another reason, why people are travelling by train is the fact: they can sleep or work there. Train ride is much undisturbed, even rail switches are almost unnoticeable. There is almost absolute silence in the train and it was standard train – nothing like some express or this kind. Comparing to Czech Republic, it’s like from other world. For myself it’s not so huge surprise, I’ve got used to on nice trains in Finland in 2007. In Czech train you might almost fell down on some switches even if train is going there really slow. Sometimes I’m disgusted only if I must touch the door handle and I would never go to the toilet in common Czech train. I never took late trains in the Czech Republic and I would even think about night trains at all. I would be afraid even to be awake in night train and I never slept in train even during the day, because I would want to be robbed by other “passenger”. And one more thing, even Swiss president is travelling alone by Swiss trains.